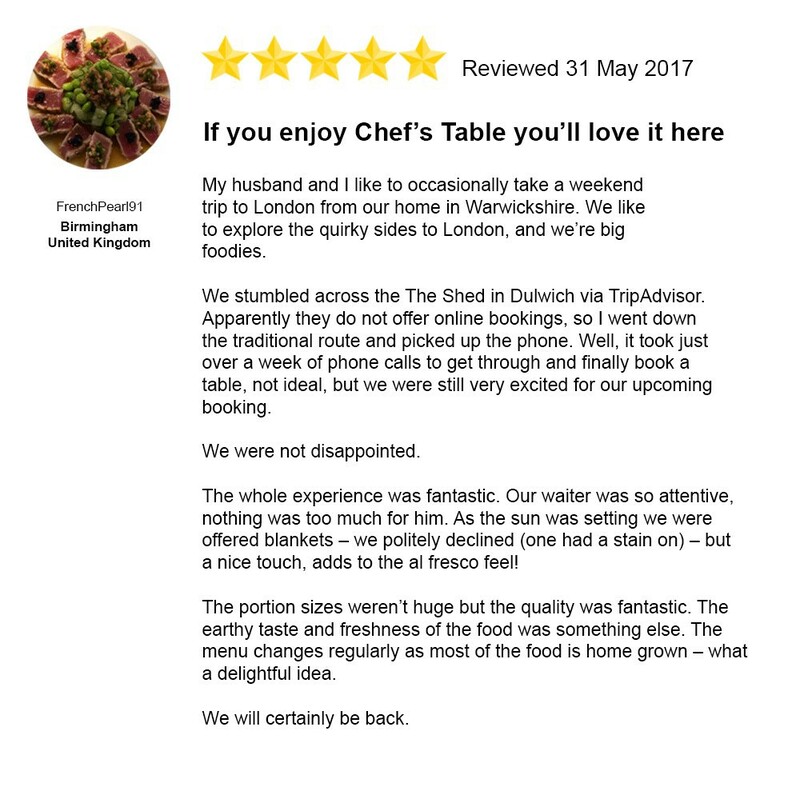 In 2017, the Shed at Dulwich became TripAdvisor’s top-rated restaurant in London in just a matter of months. Interestingly, the restaurant never really existed until it hit the first spot. The Shed’s founder, Oobah Butler, managed to increase his fake restaurant’s rank from #18,000 to #1 in 6 months, all of that without serving a single dish. How did the Shed at Dulwich manage to trick TripAdvisor? Paid, fake reviews and an online presence. Because TripAdvisor ranks restaurants on the basis of community reviews, Oobah paid fake users to rate the Shed on the platform, while constantly declining table bookings from prospects. To top off the genius stunt, he took pictures of his right foot, disguised it as ham hock and served frozen dinners to his clients on the opening night, including cup-a-soups and micro-wave lasagna. The story is as mind-boggling as it is hilarious and pinpoints pretty well the problem with online curated lists. But the problem of fake reviews is not limited to the hospitality industry: it’s widespread throughout the internet. As hilarious as Oobah Butler’s experiment is, it puts under the spotlight the internet’s rigged listing, reputation and ranking systems. In review websites like Booking.com, Yelp, or even Google Maps, the list consumers — the ones that rely on third-party user reviews to make an informed decision — have no way of proving whether a review is genuine or not. Is the reviewer paid by the restaurant to leave a rate? Is the restaurant paying the platform to increase its rank? Did the platform remove a genuine restaurant from the ranking? Did the platform edit or delete a user review? How is the rate decided? Does it reflect my interest? With centralized platforms, consumers never really get to know if the curation reflects the real-world experience, or to what extent the curation is biased. The consumer, who wants to access a high quality curated list and wishes to make a smart decision based on the list. The restaurant, or applicant, that wants to get on the list. The restaurant reviewer, or curator, who wishes to share his knowledge and earn social or financial capital from his reviews. The platform that designs, maintains and executes the curated list and its ranking mechanism. Worse, because the platform operator is a single point of failure, a well-coordinated hack can retrieve key user information including their identity or real-world behaviour. The point of a decentralized list is to establish a fairer and more balanced relationship between these four stakeholders in order to generate a high-quality list that everyone can trust access securely. How do we decentralize a list? When it comes to decentralization, blockchain has become the go-to and hyped-up technology. As Bitcoin and Ethereum managed, to some extent, decentralize money and applications, numerous case studies have spurn in the hope of reshuffling how we interact with each other and the internet. When it comes to decentralized lists, the challenge is to reduce the power and influence of list owners and better leverage economic incentives for stakeholders. First, because such lists are hosted on the blockchain, the codebase remains open source meaning anyone can scrutinise the application. Exit opacity in the curation process, as decentralized lists allow anyone to comprehend the selection and ranking process. Second, curators collectively decide via a voting system whether or not a list member should enter or remain in the list. Here, curators have to hold digital tokens that are unique to the list and stake them behind a list member. For instance, a curator can support a restaurant s/he loves and wishes to see on the list, by backing it with tokens. 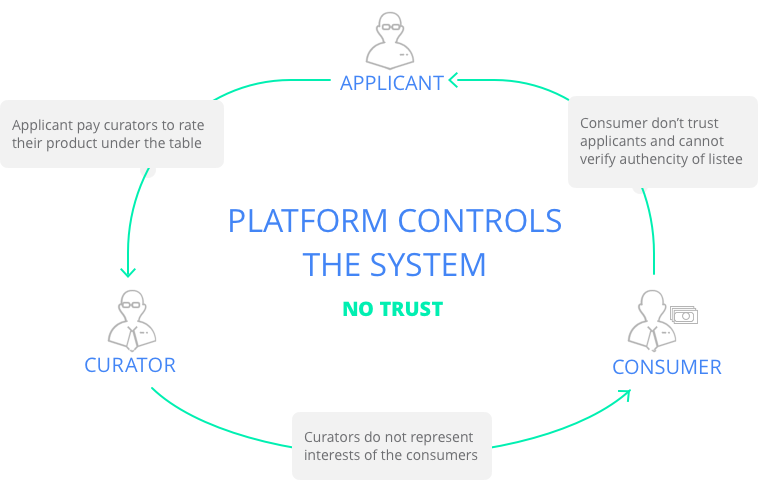 Finally, curators operate in a skin-in-the-game system which both reduces the risk of malicious reviews and increases their value. As such, when curators vote on a list application, they stake tokens in favour of, or against a list member, and the winning side gets a chunk of the losing side’s stake. Unlike centralized lists, curators have something to lose and win in the process. Would we rather visit a restaurant with ten 5-star reviews published for free or ten 5-star reviews that are backed by monetary stakes? What is a Token-Curated Registry? A Token-Curated Registry (TCR) is the crypto-system that outputs a decentralized list. First introduced by Mike Goldin in the TCR whitepaper 1.0 in 2017, TCRs are still at an infancy stage with only a handful of projects developing them. They leverage an intrinsic digital token, unique to the TCR, to assign curation and governance rights to token holders, relative to the amount of tokens held and staked. The curation process only involves the first three users, as the involvement of developers in the creation of crypto networks is a controversial challenge, that applies not only to Token Curated Registry but every single distributed application as a whole. The incentive game between the first three stakeholders, if well designed, aligns everyone around the curation of high-quality lists. We already know that consumers desire curated lists and listees want to get on them to spike consumers’ interests. Curators govern the list and, because they are the token holders, are at the epicentre of a TCR system. As such, curators seek financial growth, which is triggered by an increase in the token’s demand. However, if demand flattens out, token holders won’t be incentivized to continue to curate. They can strengthen the token’s demand by making sure applications keep flowing in and triggering an interest in becoming a curator or increasing one’s curation governance influence. which ultimately drives the value of the token up. As token holders are doing a better job at curating lists, it directly impacts their financial position proportionally. In binary TCRs, there are only two options: get listed or not. As of now, there are two main TCR functions: an “application” which gets a participant listed on the TCR, and a “challenge” which removes a listee from the TCR. During an application, listees have to pay a flat application fee to the TCR smart contract to start the voting process. 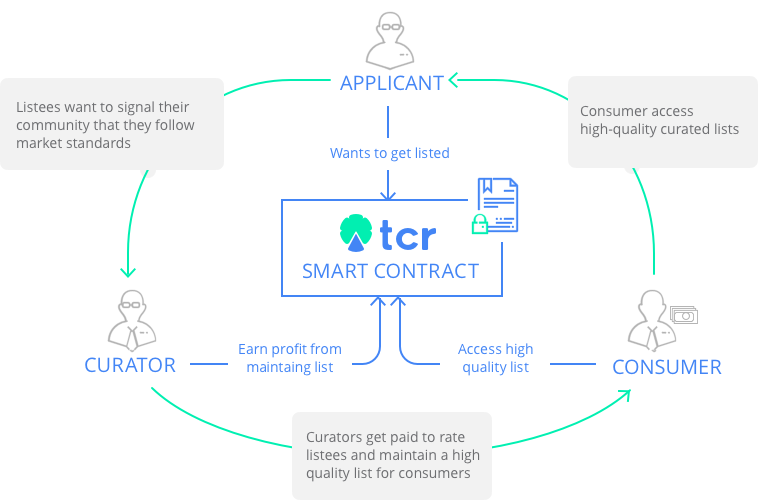 Once the application is received (fees are paid in the TCR token), curators vote and stake their tokens on whether or not the applicant can enter the list. If the application is accepted, the listee enters the list. The curators on the winning side get a chunk of the application fee, and the rest of the fee is sent to a bounty pool that is then rewarded to successful challengers in the future. Curators can challenge an applicant on the list at any time by staking the same amount of tokens than the applicant’s bounty pool (if on the list) or application fee (if applying to the list). If the challenge is successful, the listee is removed. The challenger and curators on the winning side are rewarded with the listee’s bounty. If the challenge is rejected, the listee remains on the list. The challenger loses his stake to the winning side. To dig further in the functions and the parameters of a TCR, there’s no better place to start than the original TCR whitepaper published by Mike Goldin. What are Token Curated Registries and decentralized lists? was originally published in Hacker Noon on Medium, where people are continuing the conversation by highlighting and responding to this story.